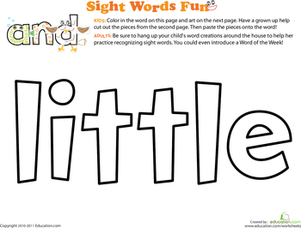 This fun activity introduces your preschooler to sight words, as it encourages practise with crafts. 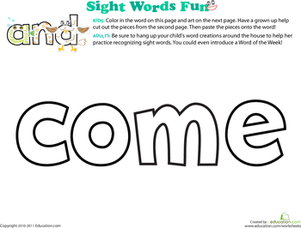 Blending coloring, cutting and pasting, and quite a bit of decorating, this cool worksheet motivates kids to create their own sight word creature. 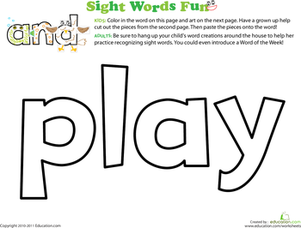 They'll have fun with the word "play," as their exposure to sight words is increased! 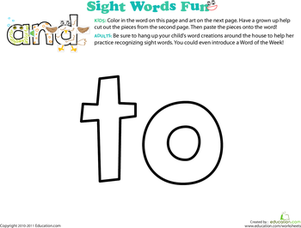 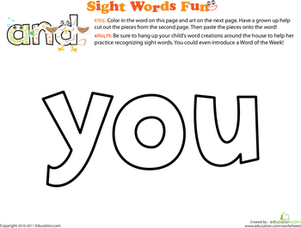 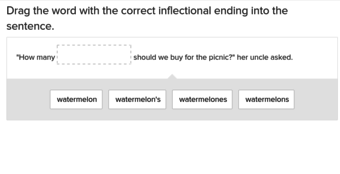 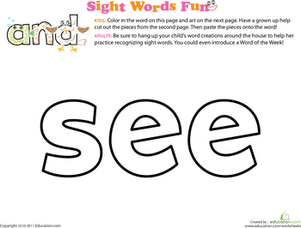 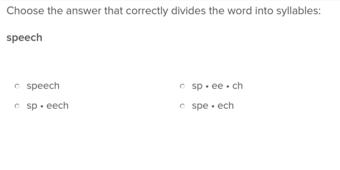 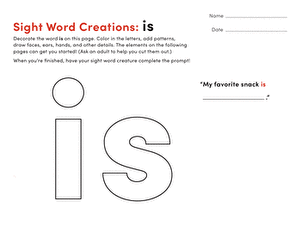 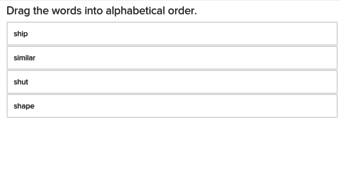 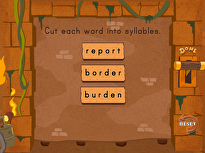 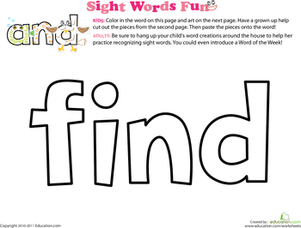 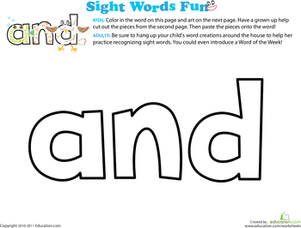 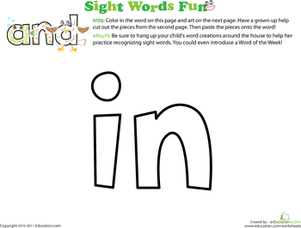 For similar practise with reading, check out the rest of the Sight WordWorksheets.